Thibault Schrepel, a 2013 LL.M Graduate of Brooklyn Law School, has published the first Antitrust Letter, a new monthly series of articles written in both French and English. According to Mr. Schrepel, each month’s article will analyze major changes within United States antitrust law and legal precedents, whilst contrasting and occasionally drawing parallels to European antitrust legal issues. If you are one of the many students who are writing a law note or seminar paper this semester, you may feel a bit overwhelmed at the moment. Several questions maybe running through your head such as: how do I identify a “good” topic; where do I begin researching; when should I stop researching; or how do I organize my paper. Well, there is no need to fear. Tomorrow, January 31, 2013, Professor Elizabeth Fajans and Librarian Kathy Darvil will host a workshop on researching and writing your seminar paper. The workshop will be held from 4 pm-6 pm in Room 605. • ELIZABETH FAJANS & MARY FALK, SCHOLARLY WRITING FOR LAW STUDENTS: SEMINAR PAPERS, LAW REVIEW NOTES AND LAW REVIEW COMPETITION PAPERS (4th ed. 2011). • EUGENE VOLOKH, ACADEMIC LEGAL WRITING: LAW REVIEW ARTICLES, STUDENT NOTES, SEMINAR PAPERS, AND GETTING ON LAW REVIEW (4th ed. 2010). • BRYAN A. GARNER, LEGAL WRITING IN PLAIN ENGLISH: A TEXT WITH EXERCISES (2001). • BRYAN A. GARNER, THE ELEMENTS OF LEGAL STYLE (2nd ed. 2002). The Oxford English Dictionary is the granddaddy of dictionaries. If you were a word, the OED lets you know when you have arrived and rolls out the carpet to welcome you to the English language. For the English speaker, it is the place to go if you want to learn how a word got its meaning and how the meaning may have changed over the years, along with the spelling of the word. Since putting the OED online, the publishers have added many enhancements that can bring out the word geek in all of us. 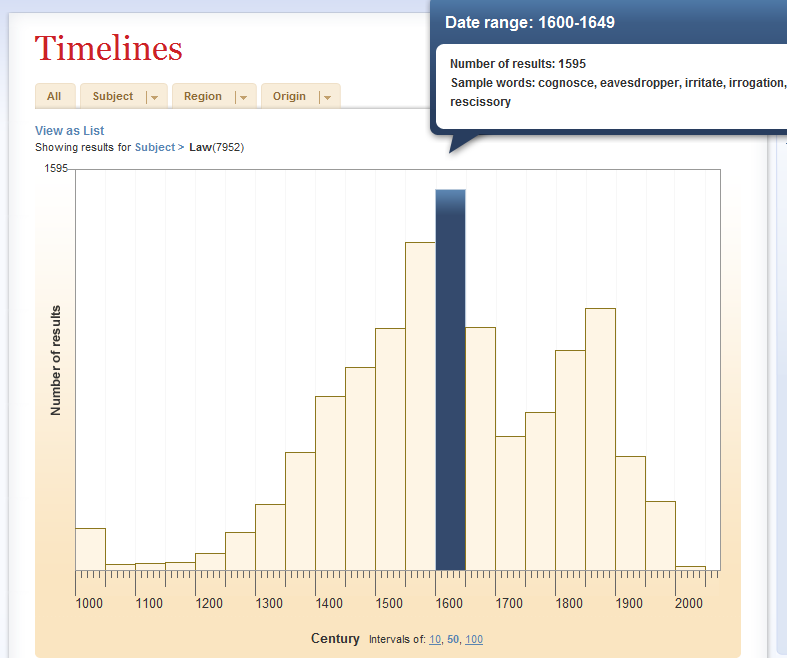 For example, the timeline feature tells us how many words entered the English language each year, beginning with the year 600. One of the first words listed is the word town – which was spelt tuun way back in 601 and meant “an enclosed land surrounding a singl e dwelling.” You can see how the word changed over time under the enty. You can also filter the timeline by region, origin and subject. For example, when looking at the time line, we learn that most of the words in our language were added to the English language between 1850 and 1899. (In fact, 42,229 words were added during those years). However, if we sort by subject – for example – law – we learn that most legal terms were recognized as English words in the years 1600-1649 (the number of new words was 1,595. The new sense added to heart v. in this update may be the first English usage to develop via the medium of T-shirts and bumper-stickers. It originated as a humorous reference to logos featuring a picture of a heart as a symbol for the verb love, like that of the famous ‘I ♥ NY’ tourism campaign. Our earliest quote for this use, from 1984, uses the verb in ‘I heart my dog’s head’, a jokey play on bumper stickers featuring a heart and a picture of the face of a particular breed of dog (expressing a person’s enthusiasm for, say, shih-tzus) which itself became a popular bumper sticker. From these beginnings, heart v. has gone on to live an existence in more traditional genres of literature as a colloquial synonym for ‘to love’. Brooklyn Law School Library launched its Spring Lunch and Learn with Zotero. You can view the presentation by Karen Schneiderman, Emerging Technologies Librarian and Adjunct Assistant Professor of Law here. 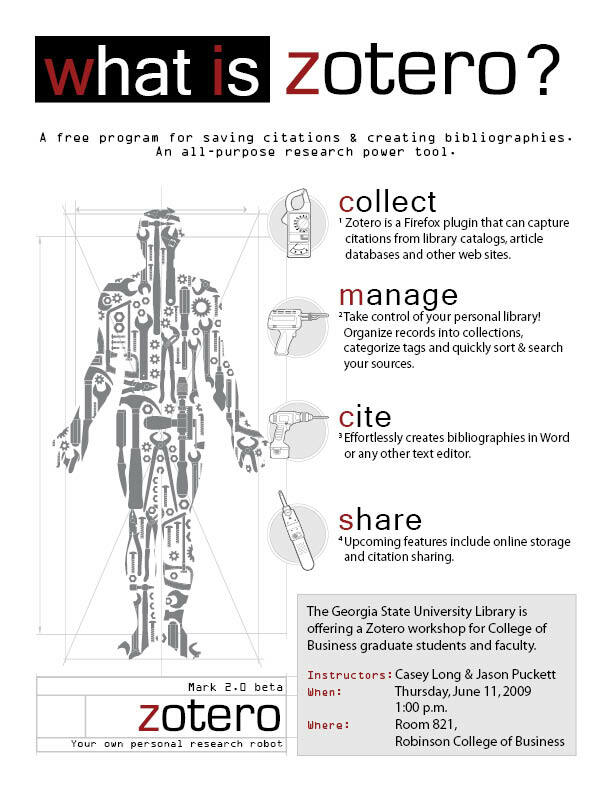 What is Zotero? Zotero (pronounced /zoʊˈtɛroʊ/) is a free, open source research management platform. Designed as an add-on for the Firefox web browser, Zotero manages bibliographic data and related research materials (such as PDFs). Users can install a separate word processor add-ons, available for Microsoft Word and OpenOffice.org Writer, for automatic in-text citations, footnotes and bibliographies. How Does it Work? Zotero detects when a book, article, or other resource is being viewed and with a mouse click finds and saves the full reference information to a local file. 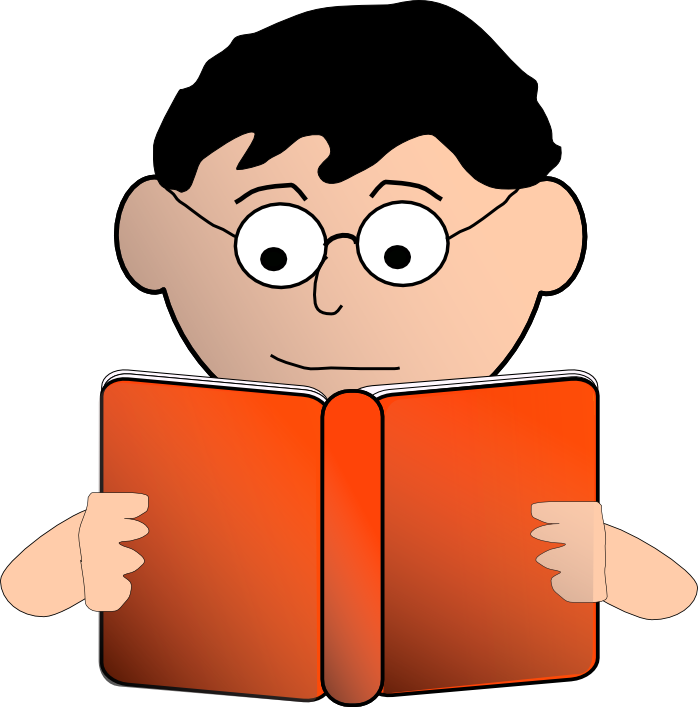 If the source is an online article or web page, Zotero can optionally store a local copy of the source. Users can then add notes, tags, and their own metadata through the in-browser interface. Does it Support Bluebook Citations Styles? Yes, but partially. Zotero has a Bluebook Law Review style in its list of available output styles. Specifically, Zotero is also compatible with HeinOnline’s Law Journal Library. Users are able to bookmark articles directly from a search results list in HeinOnline, or when viewing the pages of an article.Hein Online created a short tutorial on using Zotero. Unfortunately, Zotero does better with secondary legal materials than with primary legal materials. What Does the Futrue Hold? In June 2010, there was a Call for Participation: Zotero Bluebook Development. Zotero is seeking input from actual legal writers. Unfortunately, there are very few lawyers in the Zotero community now. With more lawyers and legal researchers involvedin Zotero’s development,it can only become more useful. The Zotero developers are looking for people to do beta-testing. Candidate should be comfortable with a few basic things: a) technical things like installing Firefox and installing plugins, b) invest a small amount of time playing with software with limited and occasionally broken functionality, and c) have the patience to report a bit of detail when things do not work correctly. Brooklyn Law School Library would like to help build a Zotero that is useful and welcome to law students and other legal writers. Zotero-legal (Google group): A forum for discussion and a repository of notes and proposals. Zotero development trunk (main and word-processor plugins): The utilities that run in Firefox. Bluebook style (CSL 1.0): The current version of the Bluebook style in CSL 1.0. A seminar is a course offered for a small group of advanced law students. A seminar paper is a record of what you say to the group about a topic you have studied. How to Write Legal Seminar Paper: Brooklyn Law School Library is co-hosting a workshop on February 2, 2011, at Brooklyn Law School, Room 504 from 4:00 to 6:00 PM. The workshop focuses on finding topics, researching topics, developing theses, and avoiding plagiarism. Led by Elizabeth Fajans, Associate Professor of Legal Writing and Kathleen Darvil, Reference Librarian and Adjunct Professor of Law, this workshop will help improve and sharpen your skills. Professor Fajans is the winner of the 2011 Association of American Law Schools (AALS) Section on Legal Writing, Reasoning & Research Section Award. The award is given to an individual who has made a significant lifetime contribution to the field of legal writing and research. Professor Fajans has been Brooklyn Law School’s writing specialist since 1984. She is a co-author of the seminal book, Writing and Analysis in the Law, now in its 5th edition, and the more recent Writing for Law Practice, as well as the publication, Scholarly Writing for Law Students: Seminar Papers, Law Review Notes, Law Review Competition Papers, co-authored by Fajans and BLS Professor Mary Falk. 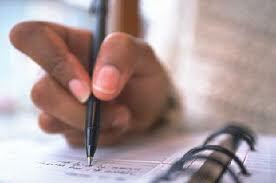 Legal Writing Competitions: Entering a legal writing competition helps you hone your legal research and writing skills, which increases your attractiveness to potential employers. You’ll have a superior writing sample which you’ll be proud to discuss and show others. Moreover, the odds are excellent that your paper will be published, you’ll win a monetary prize, or you’ll be invited to present your paper at a conference of practitioners in your area of interest. Locating Legal Writing Competitions: Unless specifically noted, all contests listed are open to students at all ABA-accredited law schools.